We all know breakfast is the most important meal of the day, but many of us end up skipping it. For me, I am often overwhelmed by not knowing what to make, or I don’t want to go to the trouble to cook just to start the day with dishes. That’s why I love easy, make-ahead recipes. 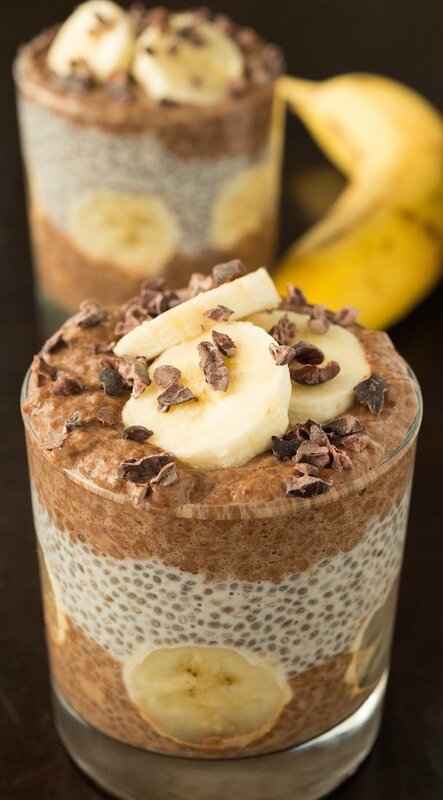 It also doesn’t hurt when they are budget friendly, healthy, and ridiculously good looking like this Banana Cacao Chia Seed Pudding Parfait. And did I mention how delicious it is?? Honestly it tastes like guilt-free cocoa puffs. 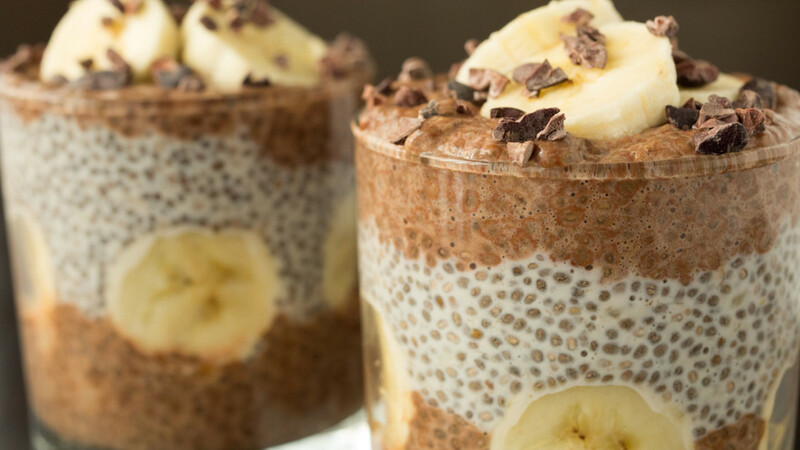 If you’re new to chia seeds, well you’re in for a treat ’cause they’re pretty awesome. Why? They have tons of fiber and omega-3 fatty acids. Many people find that they are great for energy boosting, which I definitely need in the mornings. Peel one of the bananas and place it in a bowl with the chia seeds. Mash together with a fork until they are well combined. You will end up with a mushy banana, chia seed paste. Add vanilla extract and milk. Mix together until incorporated and lumps are gone. Now we need to divide the chia seed mixture in half. Separate, then cover one and place it in the fridge. To the other half, add the sweetener (if using) and cacao powder. Mix well. Cover and refrigerate overnight. When ready to assemble the parfait, fill the bottom third with cacao chia, the second third with vanilla chia (place banana slices against glass), and then the cacao again. Add more banana slices and cacao nibs to the top. 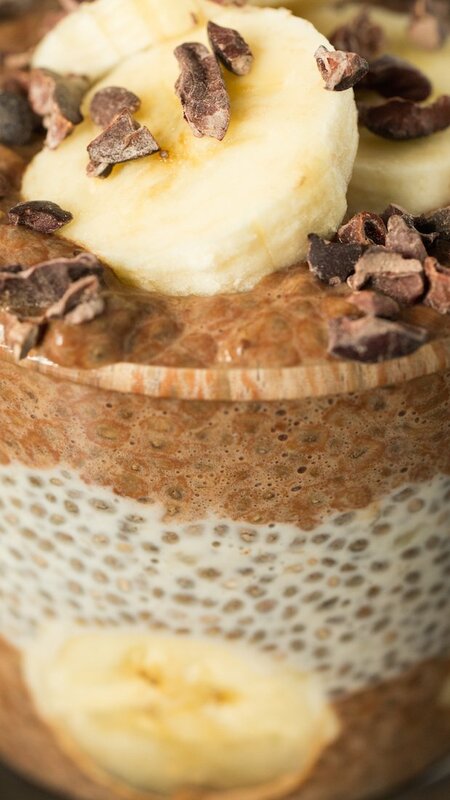 I love chia chocolate pudding! And this version looks incredible! Your photos are so beautiful! Thank you so much for the kind words, Andrea! That’s strange. I’ve never had that issue. I have used the Trader Joe’s brand of chia seeds as well as the “Healthworks” brand which can be found on Amazon. Anything that helps people put away the sugary cereal is fab! You had asked for different topping recommendations, might we suggest “almond-izing” this recipe? 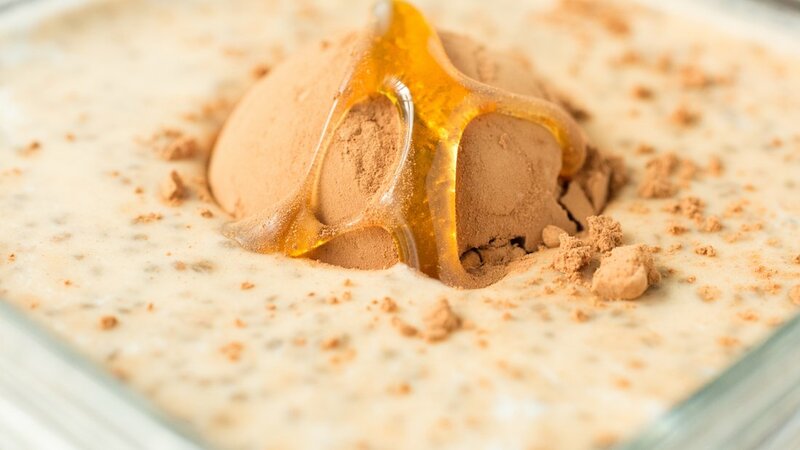 By adding unsweetened almond milk to make the chia pudding, then mixing in some almond butter (easy to do if you heat this up in the microwave) for the cacao portion, you really get a choco-almond treat with even more protein in the morning. Almond+banana is also a super combo.